This concrete poem can also be called a visual or poster poem. The digital photo adds the context for the words. 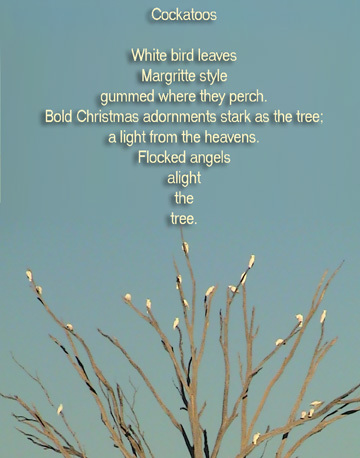 The poem is in the shape of a Christmas decoration which also contributes to the overall message of the poem.